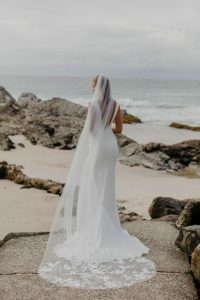 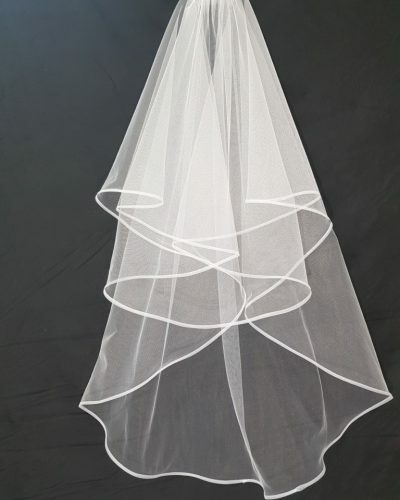 The Stevie veil is a 1 Layer 3m Length Cathedral Wedding with Stevie’s lace appliquéd on the end of the veil. 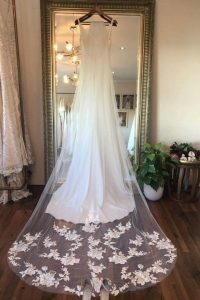 Stevie is simple and elegant and suits all wedding dresses, especially our French crepe designs and of course our Stevie dress! 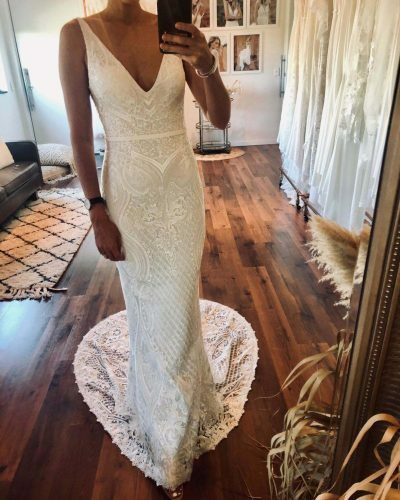 We have a sample for you to try on in our salon. 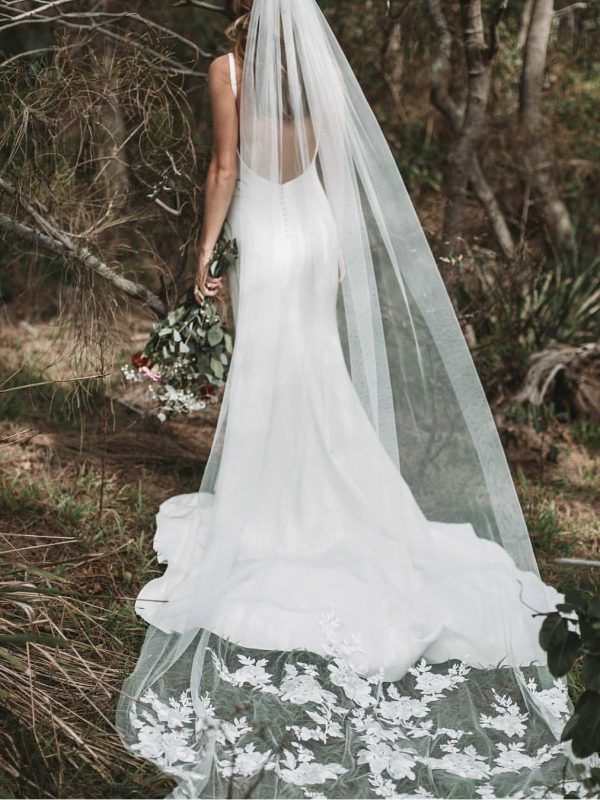 Call us on (03) 9662 3331 or email info@bluebellbridal.com to organise s time to come in to experience trying on veils to match your dream gown.